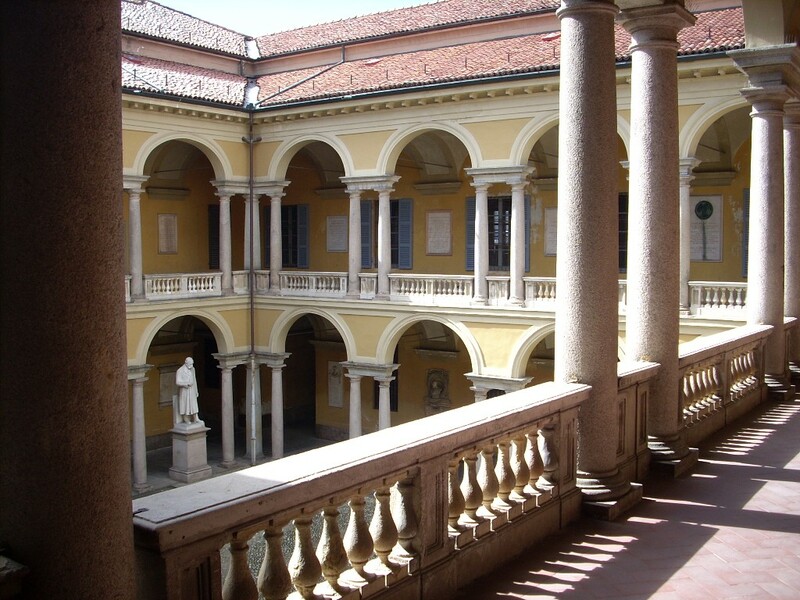 Many monuments and memorial tablets of more or less famous medicine students and teachers, can be looked at in the courtyards of the University of Pavia central seat (in the downtown Strada Nuova), attached to the buildings of the old Ospedale Grande di San Matteo o della Pietà. 1. Seen and photographed in March 2008.